“Butterflies are self-propelled flowers.” R.H. Heinlein. 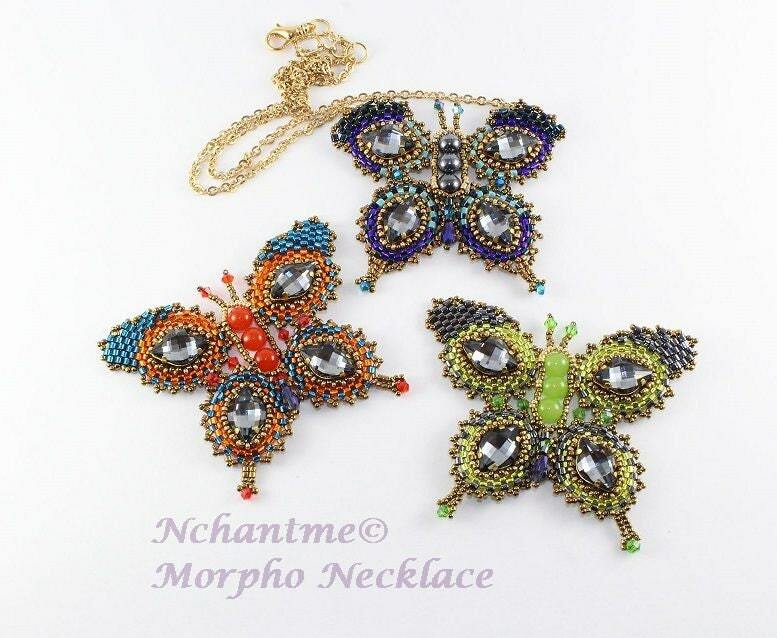 Butterflies are an unending source of inspiration for artists, poets, writers, and jewelry designers. 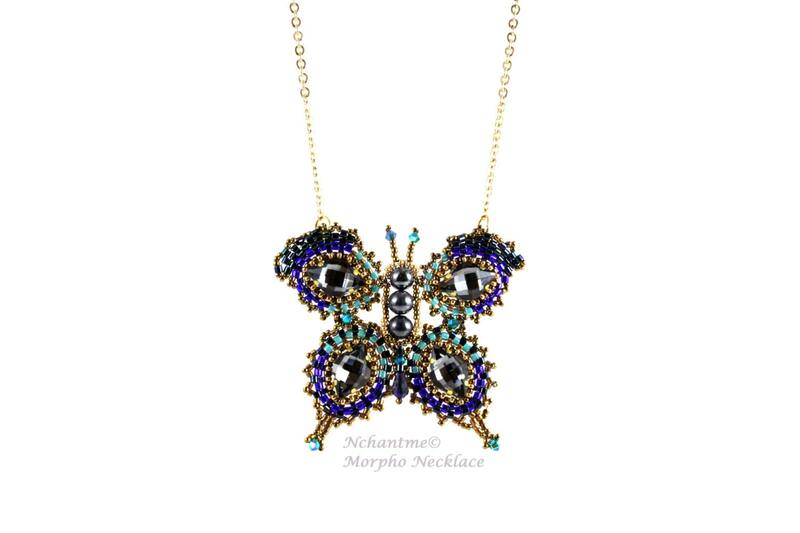 Religious symbolism and myths have been associated with the butterflies since ancient times. It represents rebirth, undying love and joy among other things. 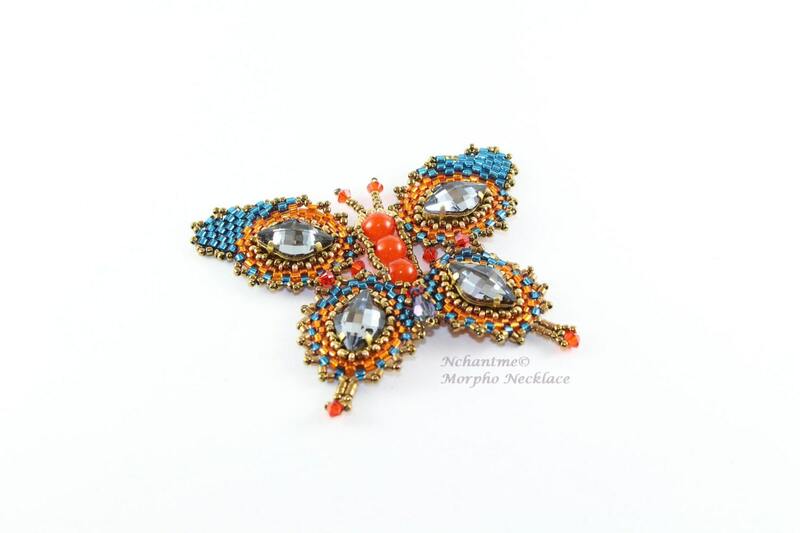 Would you like to hold a sparkling butterfly in your hands? Techniques: Peyote stitch, Ndebele Herringbone, square stitch and embellishment stitches. Level: Suitable for Intermediate Level and beyond. Length: Pendant measures 2 ½ inches by 2 ¼ inches. 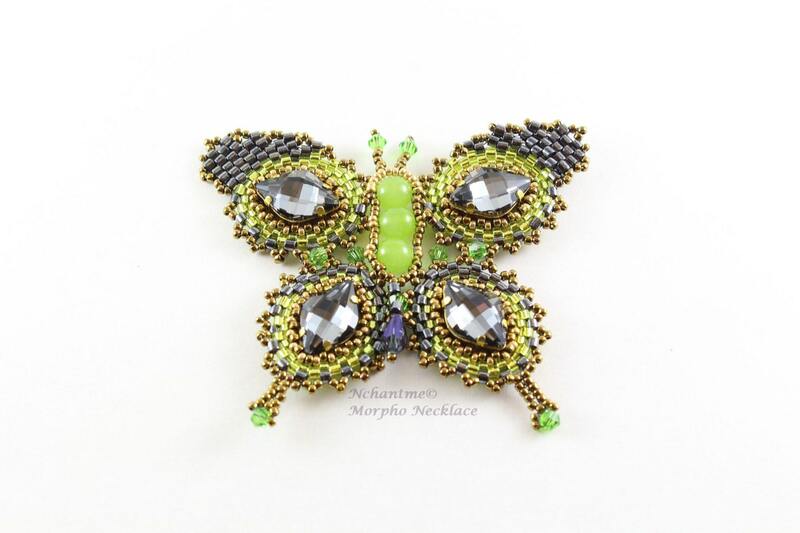 Note: To make this butterfly, purchase Swarovski Lemon stones in setting.